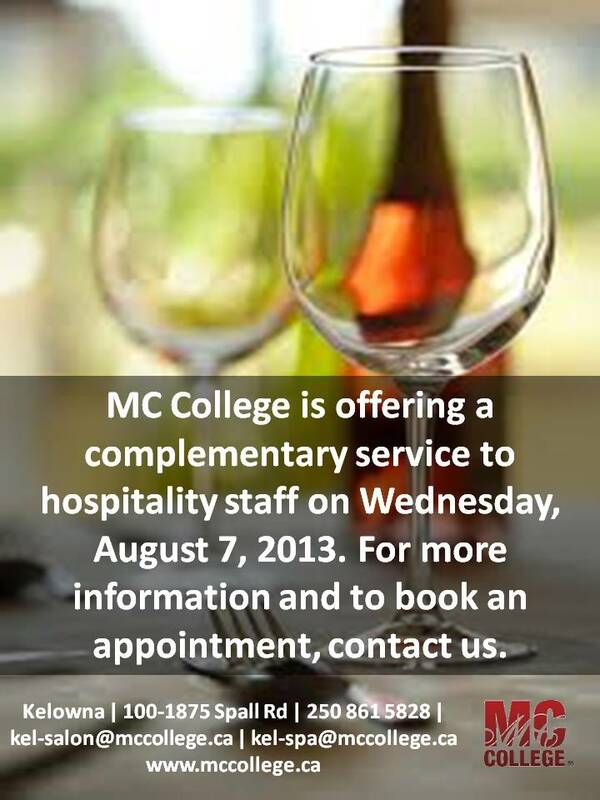 On Wednesday, August 7, MC College Kelowna is excited to invite all of the hospitality staff in the Kelowna area for a complementary service*! *Limit of one service per person. Guest must present a current hospitality pay stub during check-in. To book an appointment, contact our Kelowna campus at by phone 250-861-5828 or by email at kel-salon@mccollege.ca or kel-spa@mccollege.ca. We are located at 100-1875 Spall Rd in Kelowna BC.